Jaybird Freedom 5 Reviewed - To Buy or Not in Apr 2019? One piece of running gear that is more important than some people give credit to is a pair of headphones. Music plays a significant role in running performance and can have just as strong of an effect on an individual’s running performance as their shoes. However, people are much more willing to drop a boatload of money on a high-end pair of running shoes than they are on a pair of high-end running earbuds. This is a shame because much like how someone who only runs in a cheap pair of sneakers is missing out on a whole world of athletic footwear, a runner who only uses the stock pair of earbuds that come with their smartphone is missing out on most of the sound spectrum. 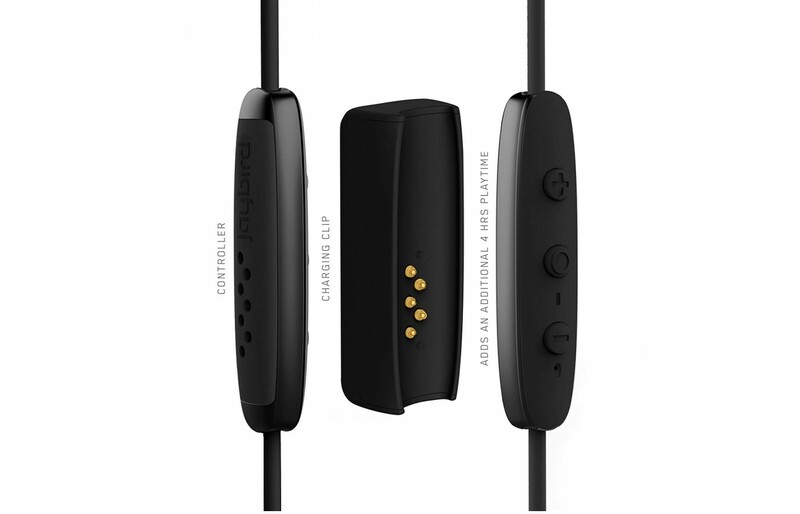 The Jaybird Freedom 5 is a product designed to introduce runners to what they’re missing. Thanks to its Bluetooth compatibility, tangled wires won’t be a concern while wearing them. They also offer a fantastic battery life and a variety of swappable buds to provide optimum comfort for a range of ear sizes and shapes. These solidly built earbuds are designed to provide a luxurious listening experience whether the wearer is running, cross-training, or just relaxing. The design of these earbuds is intended to provide the wearer with enough freedom to use them while participating in a variety of physical activities. The Jaybird Freedom 5 is comprised of a short cable with an earbud at either end, with the intention of wrapping this cable around the back of the wearer’s head. It’s a similar design principle to wrap-around sunglasses or earplugs, which provide the same benefits of convenience, comfort, and ergonomics. Because of this, and because of the alternate buds, these headphones are perfect for running or training in a gym. Something important to note about the Jaybird Freedom 5 is that while it is sweat-proof, it isn’t entirely waterproof. Engaging in strenuous physical exertion while wearing them will be fine because its resistance to sweat will prevent damage, but by no means should they be used while swimming or while taking a shower. The Jaybird Freedom 5 features a small remote on the cable connecting the buds. This inline remote allows the wearer to pair it with their smartphone or MP3 player via Bluetooth and can adjust the volume. Without a physical headphone jack, these earbuds will require a charge to use. While this may be a dealbreaker for some prospective customers, the ease with which both the buds and the additional battery pack can be charged makes up for the slight inconvenience. As previously mentioned, these headphones come with an additional battery pack that doubles as a charging dock. While the Jaybird Freedom 5 can function for 4 hours on a full charge, attaching the fully charged dock/battery pack doubles this time to 8 hours. While it does add a bit more weight to the headphones, this feature is a convenient one that allows the wearer to use them for an entire day without charging. These earbuds also come with a small clip that can be used to attach it to the wearer’s shirt collar, slightly offsetting the discomfort and loss of balance that could be caused by adding the battery pack. Hardware aside, the most advanced feature offered by these headphones is its companion app. Designed around all Jaybird listening products, their MySound app can be installed from the Google Play store or the Apple App Store for free. This app allows the user to fine-tune the EQ settings for their headphones, providing the option to adjust the volume of highs, mids, and lows. These settings are then saved to the headphones, not the app, meaning that they will keep those settings even when synced with a different listening device. The companion app that is designed to work with the Jaybird Freedom 5 provides users with the option to fine-tune the sound quality. With the option to either use a preset sound equalization or set up a custom one, a decent amount of variability is possible that is sure to satisfy even the most dedicated audiophiles. For the most part, the Jaybird Freedom 5’s hardware is up to par with its impressive software. Since they were intended for use during intense exercises, they offer a high volume that will drown out any background noise. They offer impressive highs and lows, with bass, in particular, being adequately boosted, but the mids are somewhat lackluster in comparison. Sound isolation is a mixed bag, depending on which of the customizable buds the wearer uses; the silicone models are better at preventing sound leakage than the ones made of foam. The Jaybird Freedom 5 is designed in such a way that they can only be connected to the wearer’s listening device via Bluetooth. This comes with the benefit of reduced cabling and a greatly diminished risk of tangled wires, but the downsides to this are numerous. For starters, Bluetooth can be a fickle way for pairing devices that are susceptible to interference. With a functional range of ten meters, this isn’t a major concern if the user keeps their listening device in their pocket, but the potential for signal disruption is present regardless. Bluetooth also doesn’t provide the same level of sound quality that a physical connection does, meaning that serious audio freaks are going to be disappointed with the loss in fidelity. Some customers are inevitably going to be extremely frustrated at the limitations of this product. The way in which it connects to a listening device will make it impossible to use on some older MP3 players and they simply won’t function without some kind of charge. However, customers who are willing to put up with these relatively minor inconveniences should appreciate the streamlined and lightweight design that was only made possible through the use of the Jaybird Freedom 5’s Bluetooth connectivity. While the particulars of the Jaybird Freedom 5’s design come at the expense of its connectivity and general functionality, all of these consequences are justified because of its ergonomic design. Moving in a direction that is completely different from the past 4 iterations of the Jaybird Freedom line, these earbuds make comfort their top priority. They were successful to such a degree that just about every design limitation can be forgiven when seen as necessary sacrifices in service of its excellent design. Right off the bat, the shorter cable length of these headphones avoids many of the common pitfalls of exercising while wearing earbuds. Wearers of the Jaybird Freedom 5 don’t have to worry about this cable tangling in knots, snagging on their clothes, or getting yanked out of the jack on their listening device. The small inline remote can be placed on a part of the wearer’s body that is unobtrusive while still being easily accessible, making on-the-fly volume adjustments a breeze. While the included charging dock that doubles as a battery pack can add some extra weight to this remote, the addition of a small clip allows wearers to provide these headphones with a stronger grip to their shirt. It’s the accumulation of small features and design quirks like these that give this product such an excellent level of comfort for the wearer. Although earbuds are the preferred style of headphones for individuals engaging in strenuous physical activity such as running, they have fallen out of style in recent years with the rise of more popular headphones such as Beats by Dre. The designers of the Jaybird Freedom 5 attempted to implement some fashionable elements into their product anyway, despite the fact that their particular style of listening accessory has become somewhat dated. The buds that are supposed to be inserted into the user’s ears are shaped with a subtle curve and taper, meant primarily for ergonomics. The use of metal for this portion helps it to look a bit more fashionable in conjunction with its functionality, with the Gold color scheme, in particular, benefiting the most from this effect. Speaking of color schemes, this product comes with several that range from variations on black and white to more vivid incorporations of red and blue. All of the included swappable buds have intricate detailing and can be stored in a small bag when they aren’t being used. 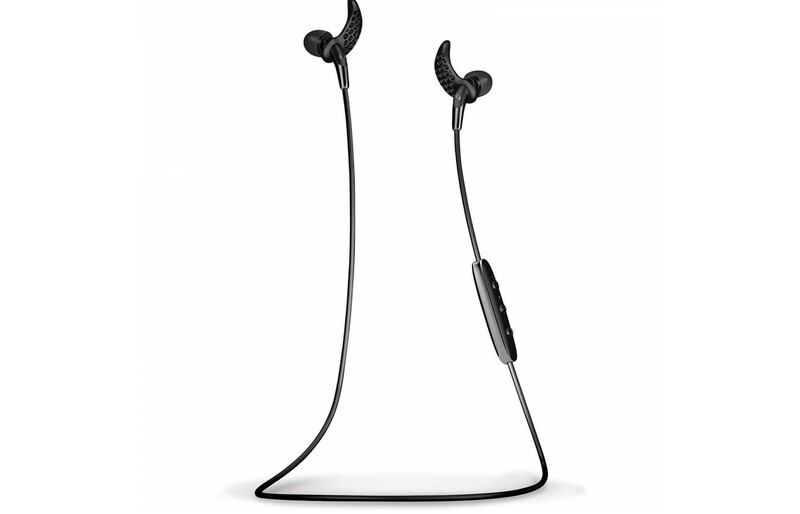 In a word, the aesthetic of the Jaybird Freedom 5 is minimalist. One of the many downsides to using earbuds over larger headphones for listening to music is a decreased durability. This isn’t always the case since there are some surprisingly resilient earbuds and disappointingly fragile headphones, but it is the norm. The Jaybird Freedom 5 is somewhat flimsier than a more solidly designed pair of headphones, but breakage isn’t likely to occur unless the wearer is excessively careless during their exercise routine. The one part of this product’s entire package that is most likely to break is the small clothing clip since it is the only portion made entirely of plastic. The manufacturers do offer a warranty, but it only covers one to two years and can be voided easily. Due to the fact that the Jaybird Freedom 5 doesn’t have a physical jack to connect with a listening device, they are going to offer less ease of use than traditional earbuds or headphones. Any device that requires Bluetooth synchronization is going to come with usability hurdles as well since the pairing process can be difficult and prone to disconnection. However, when judging this product as a pair of wireless headphones and as a Bluetooth compatible device, they are relatively simple to operate. Something that is very helpful in this regard is the companion app that allows the user to change certain settings, which can make it much easier to operate this device’s advanced features. The shorter cable makes these earbuds more convenient to use as well since it prevents them from becoming tangled. However, the fact remains that the wireless functionality of the Jaybird Freedom 5 is inherently obtuse and can lead to frustration. Something that is going to frustrate some users of these headphones is the fact that they require an electric charge to function properly since they are wireless and connect through Bluetooth. This does mean that they will need to be charged and that they can’t be powered through the listening device they are connected to, but Jaybird did their best to make the charging process simple and intuitive. The charging dock for the Freedom 5 is small and clips right onto its inline remote, which allows it to double as an external battery pack. This charging dock connects to a power source via a Micro-USB cable, making it easy to charge it with a wall outlet or PC. Although the included charge cable is very short, this can be easily replaced with a much longer one if necessary. 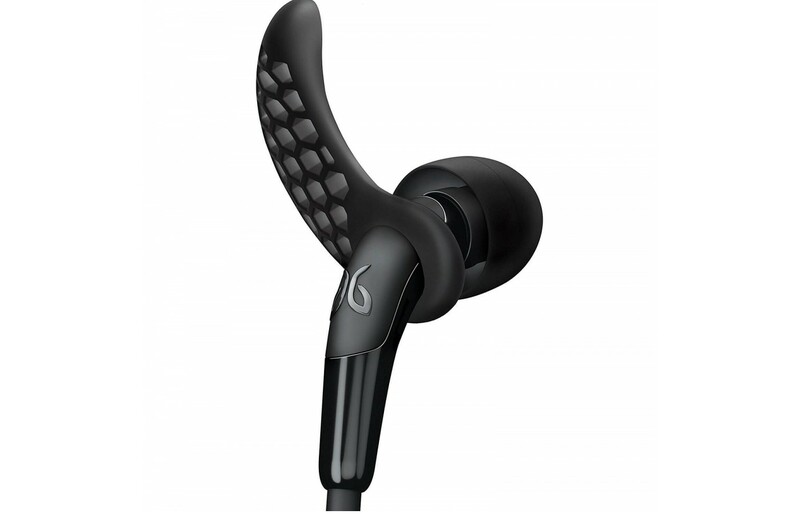 When they were first released, the Jaybird Freedom 5 had a fairly hefty price tag. This isn’t anything unexpected since high-end headphones usually cost upwards of $100 without offering much in the way of enticing features. However, the price for these earbuds has dropped over time to a much more reasonable price tag that is below $100 and usually includes free shipping. Due to the perks of this product and in spite of its shortcomings, this new price makes it very easy to justify picking up a pair. Depending on personal preference, the design quirks of the Jaybird Freedom 5 will be either incredibly convenient or endlessly frustrating. An individual who enjoys running and cross-training that wants a pair of wireless headphones with excellent sound quality and some resistance to perspiration will love these earbuds, while an avid swimmer who wants something simple that can plug into a cheap MP3 player is going to be disappointed.